Our delicious CakePints are the perfect treat! Each jar is filled with chunks of cake, creamy buttercream and a variety of fillings. Meant to be eaten right out of the jar with a spoon, they are perfect for parties, wedding favors, gifts and late night snacks. 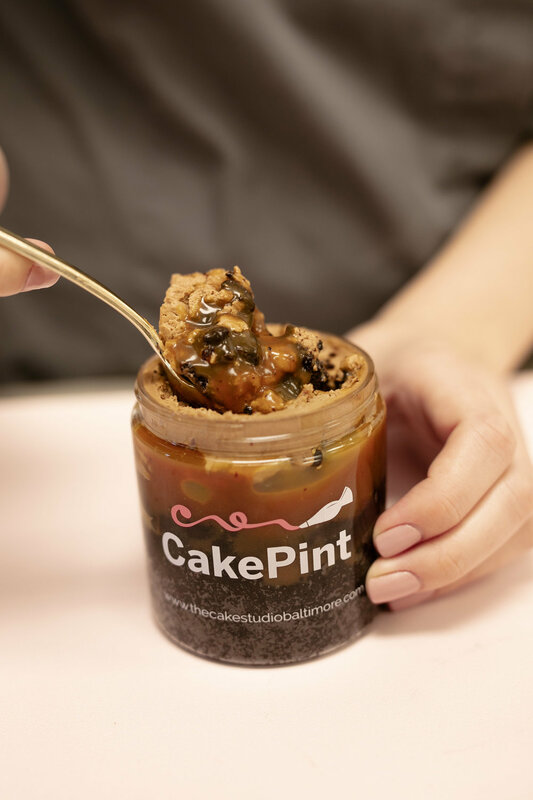 CakePints are available in the same delicious flavors as our cakes.